Latest edition of Fife Business Matters publication now available to view online! Please find a link to the latest edition of Fife Business Matters, (www.fifebusinessmatters.co.uk/) which is packed with news and features from Fife’s business community. As we continue to focus on making the region the best place to do business, events like the upcoming Fife Business Week and the Fife Business Awards form a foundation to further grow, develop and celebrate our successes. 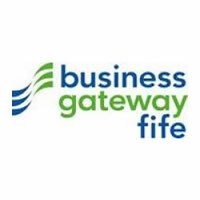 Fife Business Week, now in its fifth year, offers an ambitious and exciting programme of business events, seminars, workshops, masterclasses and networking opportunities that will bring together businesses and public sector organisations to promote the region’s business development. We are also delighted to launch the Fife Economy Partnership Fife Business Awards to be delivered in March 2015. Full details of both events can be found in our latest edition and we hope that everyone will become involved in one or both events. May I also draw your attention to the exciting opportunity on page 28 to win VIP tickets for this year’s Alfred Dunhill Links Championship. To celebrate 30 years of Alfred Dunhill and golf at St Andrew’s, Fife Business Matters is offering a top prize of a pair of VIP hospitality tickets for the final day of this year’s Alfred Dunhill Links Championship on Saturday 5 October 2014. The winner will enjoy refreshments and fine dining at the exclusive Alfred Dunhill Links Championship Dining Club in The Old Course Hotel, St Andrews. We also have 10 pairs of tickets for the Sunday final of the tournament to give away as runner-up prizes. To enter our competition, simply sign-up to VisitFifeGolf e-newsletter before Sunday (28 September). Winners will be selected at random and contacted by email on Monday 29 September. Don’t delay to enter and to sign up, visit: www.visitfifegolf.com. I hope you will find Fife Business Matters an interesting read and best of luck in the golf competition.